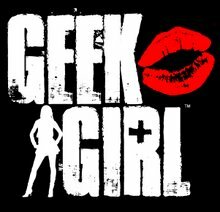 GEEK GIRL KNOWS: Another Geek Girl Quickie! Hi Meghan! I know, i know...totally my bad! I actually did shoot it before i left, but i didn't get a chance to finish editing/uploading it so i finished it this week! check it out, it's posted at the top in a new post! !